In the backseat of his family’s car, 12-year old TyQuane Goard couldn’t stop smiling on his way home from the airport. Sitting next to his older brother, Tyrone, Goard was returning from Las Vegas where he had competed in a tournament with his AAU team. Goard had spent years as an afterthought on his team, and complained to his brother about it constantly. But this tournament was different — Goard starred and his AAU team won the tournament convincingly. Throughout the car ride, Goard’s upbeat attitude filled the silence occupied by his four other family members. His mother, Ceateetra, made a right turn past a McDonalds next to his grandfather’s house where Goard lived. But, instead of pulling up to the house, Ceateetra kept driving straight. Goard’s joy turned to confusion. As they drove four blocks past their grandfather’s house, Ceateetra abruptly stopped the car in front of a building unknown to her kids, a shelter of some sorts. It was the start of a new chapter of Goard’s adolescent life — a four-year period of uncertainty, denial and struggle. TyQuane Goard was now a homeless middle schooler. Goard’s upbringing was far from easy — spending time in a homeless shelter, attending eight schools in eight years and living in a coach’s garage to name a few — but he never lost focus of his goals. 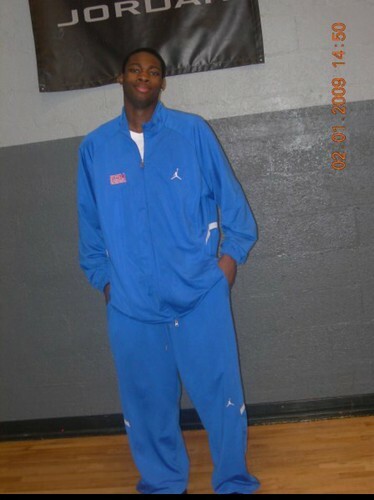 For him, the only way to get out of poverty was basketball. 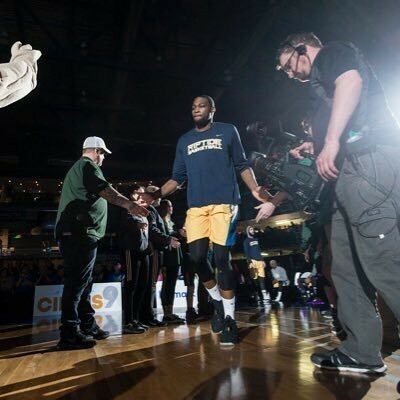 Despite his circumstances, Goard has committed his life to improving his game so he can help the next generation of underprivileged kids in West Virginia make it out like he did. “I’ve been through a lot,” Goard said, “but I still work like I have no money.” At first, Goard struggled with the notion of being homeless. Ceateetra advised her children to keep their living situation from most people. While the family stayed close-knit, Ceateetra would ship her kids to other homes from time-to-time, so they could get ‘a good sleep,’ Tyrone said. Every morning, Goard would be the first one to wake up and get ready. In seventh grade, he would pack his things and walk across town to his two cousins' house. The three would walk into school together, so people would assume that Goard was staying with them. Tyrone recalls one moment at the peak of their struggles. Desperate for money, Tyrone reached out to his cousin, Darrion Scott, a first year NFL player for the Minnesota Vikings. Tyrone asked Scott for a couple of dollars. Scott declined and “made up some reasons why he couldn’t,” Tyrone said. At the time, it wasn’t that big of a deal, but it stuck with Tyrone and TyQuane. 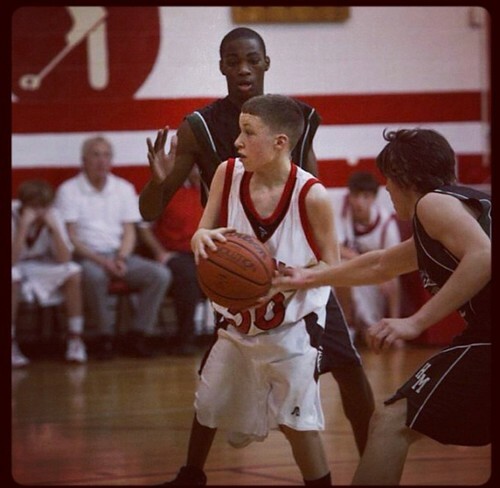 Going into Capital High School as a freshman, TyQuane had the opportunity to play basketball with Tyrone, a senior at the time. Although Tyrone was a standout football player, he excelled in multiple sports and was a leader on Capital’s basketball team. With similar talent to his brother, TyQuane received an opportunity to play varsity as a freshman. The two played hand-in-hand, which caught the eye of another rival high school coach, Rick Green. The bond between the brothers grew as Tyrone took TyQuane under his wing. He taught him how to balance school and work while Tyrone made sure his brother became close with his older friends, so he was protected when he became an alum. After he graduated, Tyrone got a football scholarship to play at Eastern Kentucky. From there, he eventually played in the NFL for Cincinnati Bengals in 2013. He made it out, and TyQuane was poised to be the next successful brother. 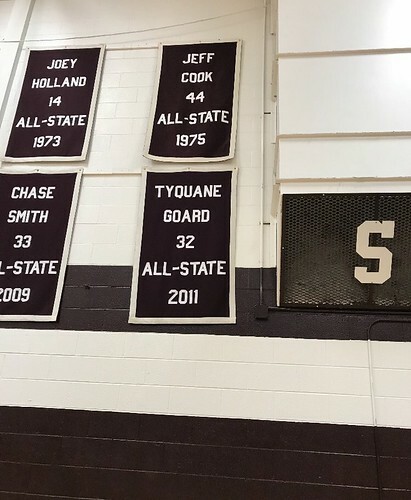 TyQuane floated around high schools his sophomore year in both West Virginia and North Carolina after his brother left for college. In one instance at Mountain State Academy, he was living in a coach’s garage in the middle of the winter so he wouldn’t have to live on the streets. With another member of the Mountain State team, Goard slept in a two-car garage with only a twin bed and a heater. Even with everything happening around him, Goard remained quiet about his situation. Without a plan to play high school basketball his junior year, Green reached out to Goard to play for his team at George Washington. Green remained a close figure in Goard’s life and knew about his living situation, so Goard agreed to transfer. In his final two years of high school, Goard helped lead his team to a state championship. He wasn’t the flashiest scorer or even the best player on the court, but his intangibles stuck out, Green said. Goard molded into a shot blocking, defense-minded forward who became one of the smartest players Green has ever coached. All the while, Green kept his “antennas” up to Goard’s living situation. Despite taking ninth grade electives as a junior, Goard eventually caught up and graduated on time with a scholarship to play basketball. After a couple of years, Goard followed in his brother’s footsteps and signed a professional contract out of college. But, he didn’t feel like he ‘made it out’ until a few years later. At home in West Virginia, Goard got a call from the Lakeland Magic, the G-League affiliate of the Orlando Magic, for an open try out. Goard saved up some money and booked his own hotel for the workout. Tyrone tagged along even though the chances of him making the team were slim. When Goard got there, he noticed a lot of real competition, players with high-level skill sets similar to his, playing for only a few spots. A couple of hours in, Goard found himself talking to one of the general managers of the team. He told him that he should cancel all of his other tryouts for the week because Goard would become a participant in the Magic’s training camp. He tried to hold in his tears, but the general manager could see it in his eyes. He motioned for Goard to leave the gym so the other players wouldn’t see him break down. As he slowly walked to his car, tears streamed down his face. Tyrone got out of the car to check on Goard, and he told him the news. When TyQuane and Tyrone were younger, they had always dreamed of a better life, one that included a lot of money, a good living situation and stability. They made each other a bet: Who could make it on ESPN the most times? At the time, it seemed like a petty, unrealistic bet, Goard said. But as his professional career continues at #TBT2018 with the West Virginia Wildcats, Goard will get to add one more point to his childhood wager when the Wildcats take on the Charlotte Chess Center.